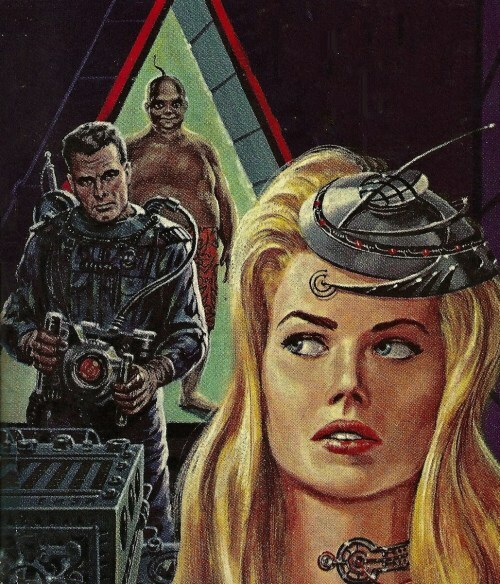 By J. W. Armstrong (?-?). First appearance: Nature/Futures, 4 December 2014. "As I waited, an hour before my execution, my unfocused mind ranged freely . . ."
Maybe, sometimes, it is better not to know . . .
- The ISFDb informs us that so far our author, J. W. Armstrong, has three SFFnal stories to his credit. 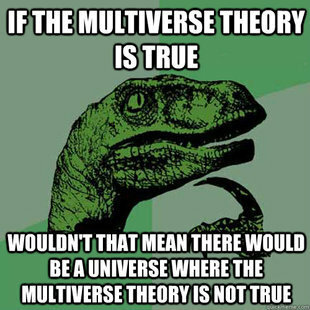 - Previous encounters with the multiverse (or a reasonable facsimile thereof) are Ray Woods's story "Schrödinger’s Gun" (HERE) and Sam Merwin's "Third Alternative"
(HERE); you'll find plenty of links in those places if you want to explore it further. "Before Her Was a Monstrous Creature Which Never Ceased Its Infernal Baying and Howling As It Attacked Her, Tooth and Nail"
7. "The Human Hyena," Weird Tales, November 1924 (ISFDb data). As always, we urge you to read these first, before you go to the resource material. Some of the additional sources do augment Quinn's accounts, while others seem to contradict him in some of the details. 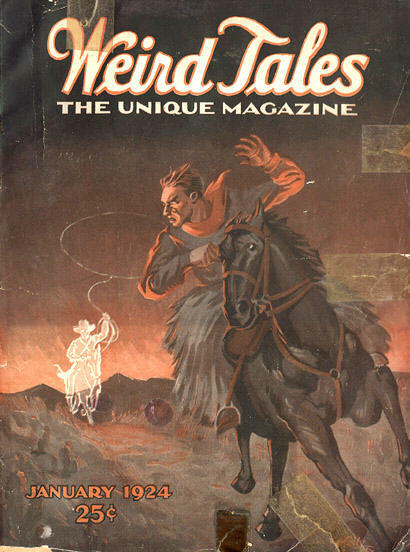 First appearance: Weird Tales, January 1924. "Maiden, behold thy bridegroom. His name is—DEATH!" A magical mirror becomes a death trap for naive and unsuspecting girls . . .
"Fat in a corpse converts into adipocere, often called 'grave wax'. This process is more common where the amount of fatty tissue is high and the agents of decomposition are absent or only minutely present." "The Werewolf of St. Bonnot." 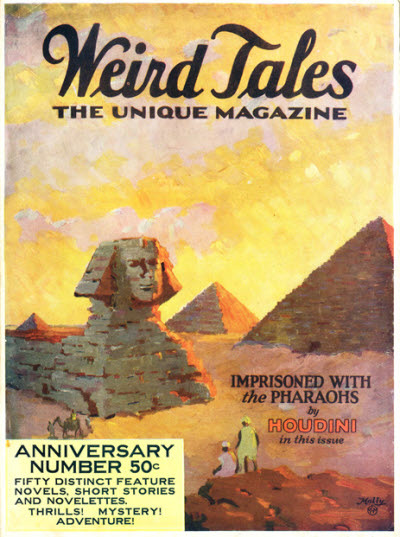 First appearance: Weird Tales, May-June-July 1924. 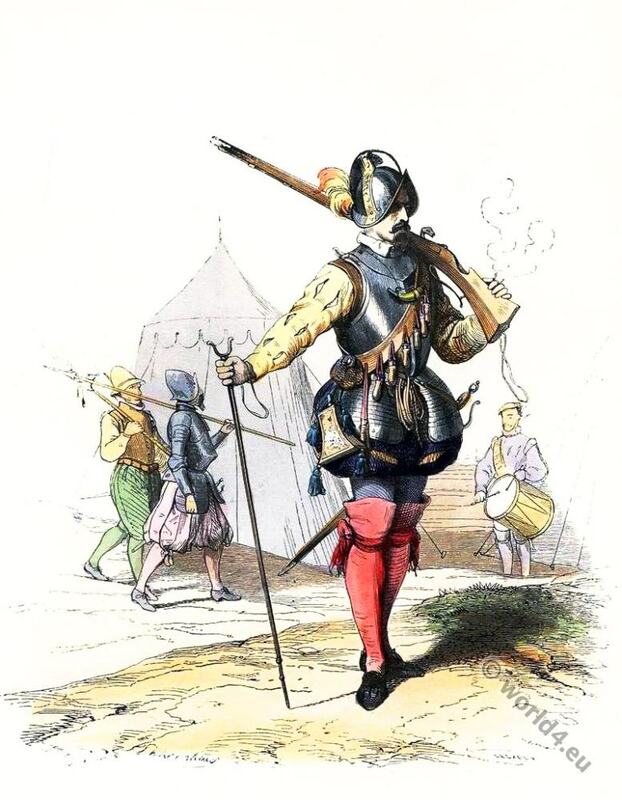 "The Frenchman is curiously logical and direct, even in matters of superstition." 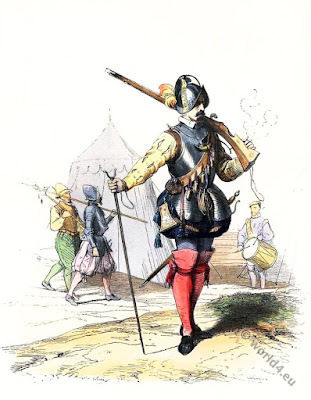 Yellow-toothed and hairy, ill-tempered and clearly crazy, and apt to commit murder—it's obvious that the hermit of St. Bonnot won't be a candidate for Citizen of the Year . . .
Not a person of interest. - There's a lot about this case on Wikipedia (HERE) and (HERE), ExecutedToday.com (HERE), The Abnormal Realm (HERE), the Serial Killers Wiki (HERE), CrimeFeed's article (HERE), and Sabine Baring-Gould's The Book of Were-Wolves (1865; reprinted 2007; HERE), especially the four-page account starting (HERE). the SF Site (HERE), and the ISFDb (HERE). 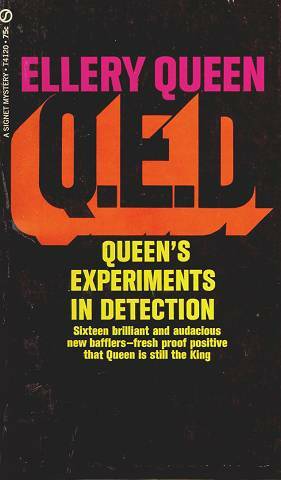 - Another one of Quinn's series characters was Major Sturdevant who, according to FictionMags, made steady appearances in Real Detective Tales and Mystery Stories from December 1923 to September 1926 (roughly two dozen tales). Since the stories are apparently in limbo, we must guess just what ground the Major ploughed in his peregrinations. 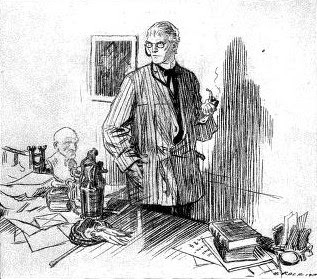 Quinn followed up Sturdevant with Professor Forrester, featuring in Real Detective Tales and Mystery Stories from February 1927 to October 1928 (13 adventures; see one HERE). 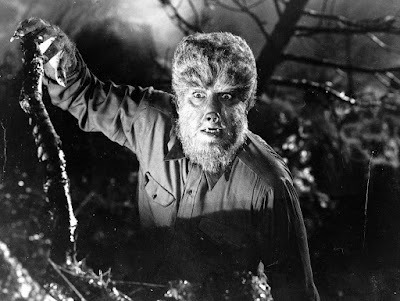 Three shorter-lived series characters were Carlos de la Muerte (4 stories; 1933-34), Carmichael (3 tales; 1941 and 1944), Bill Ramsey (2 outings; 1941), and the Black Wolf (2 adventures; 1944) (FictionMags data). 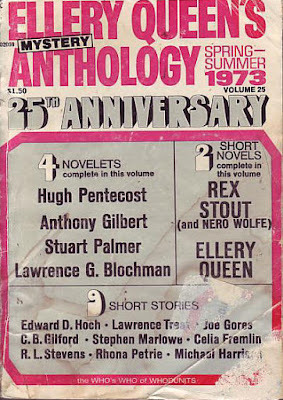 "I Was Particularly Keen Not to Get Caught"
First appearance: Nature/Futures, 17 July 2008. "I arrived in a puff of something that looked like smoke and felt like semolina, standing with my briefcase held before me like a shield." 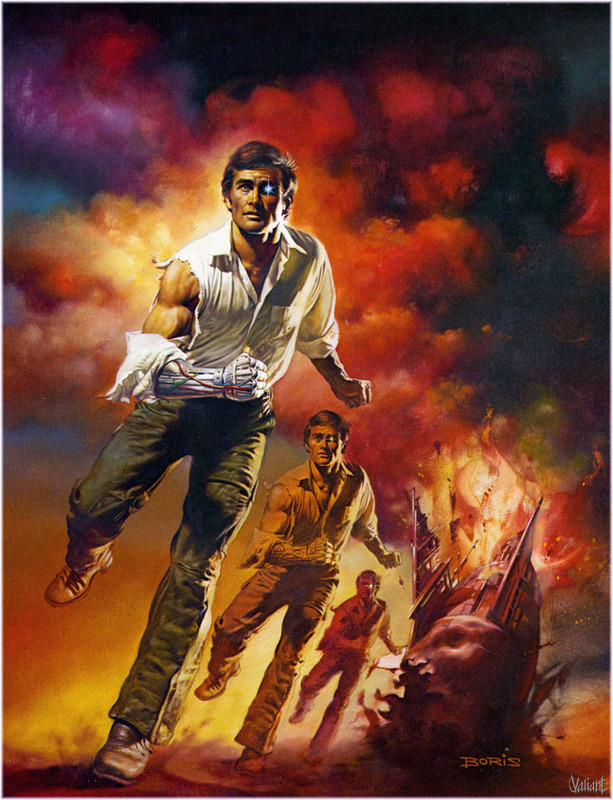 As Barbi Bodega is about to find out, the phrase "the long arm of the law" is more than just a metaphor . . .
- In case you're wondering about the story's title, see Wikipedia (HERE). the Earth; see (HERE) and (HERE). 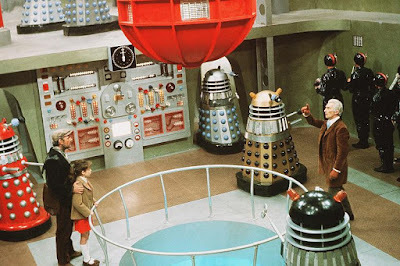 - Our latest story posting involving temporal shenanigans, Milton Lesser's "Stop, You're Killing Me! ", is (HERE), which has links to other tales in a similar vein. 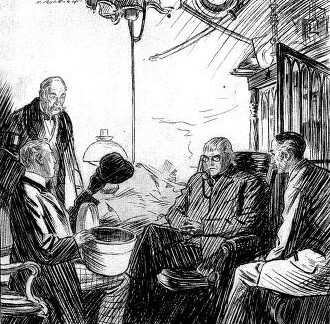 "Make It a Medico-legal Case"
Illustrations in McClure's by Henry Raleigh (1880-1944; HERE and HERE). 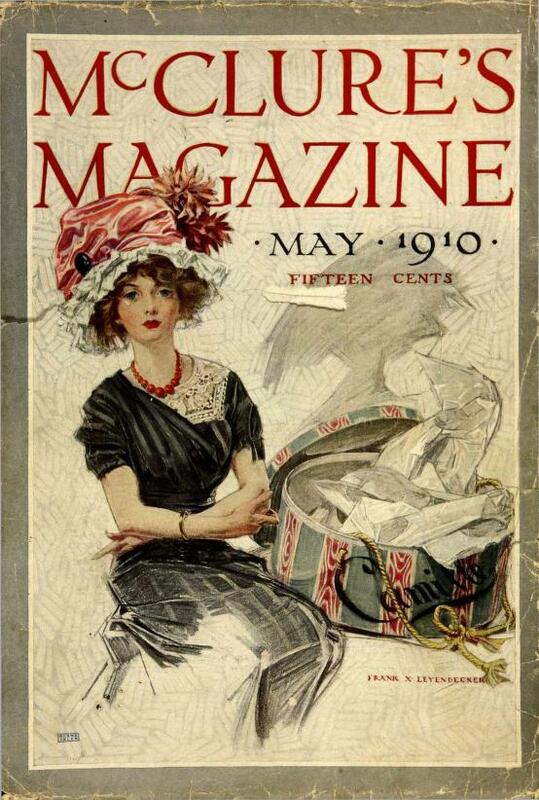 First appearance: Pearson's Magazine, February 1909. 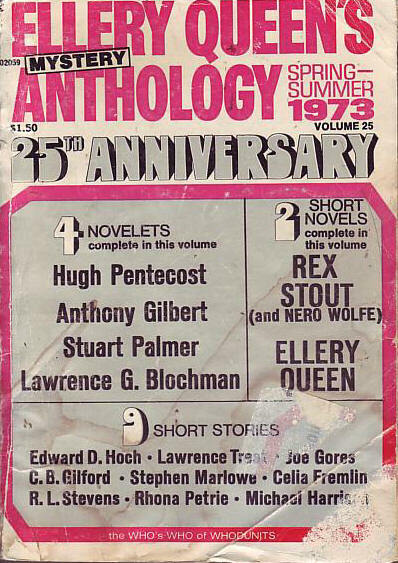 Reprinted in McClure's Magazine, May 1910 and The Saint Mystery Magazine, June 1962 (FictionMags data). 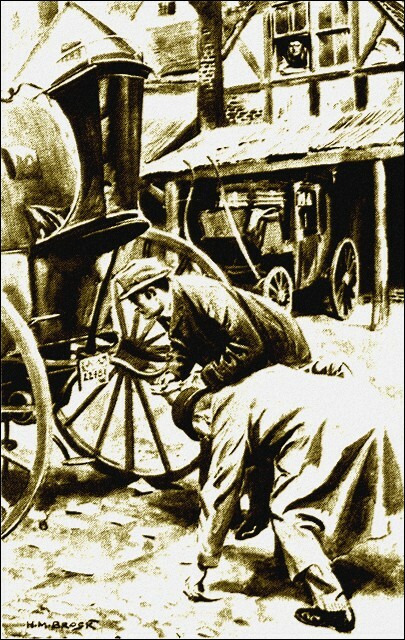 Collected in John Thorndyke's Cases (1909); U.S. title: Dr. Thorn-dyke's Cases (1931). Online at Archive.org (HERE; with 6 illos), Roy Glashan's Library (HERE; with 2 different illos), Project Gutenberg Australia (HERE; with illos), Project Gutenberg (HERE; with illos), and FadedPage (HERE; no illos). "The human race, as you know, is roughly divided into three groups—the black, the white, and the yellow races. But apart from the variable quality of colour, these races have certain fixed characteristics associated especially with the shape of the skull, of the eye-sockets, and the hair." When "everything that is precious and beautiful—pictures, ivories, jewels, watches, objects of art and vertu—everything" is stolen from a private collection of immeasurable value, it will require an individual who evidently knows everything to find the purloined caboodle—and no one in London fits that description better than the pre-eminent medico-legalist and all-round know-it-all himself, Dr. John Thorndyke . . .
Fighting crime with a microscope. A solicitor with a very nervous client. He should never have stayed out so late. The injured party, conspicuous by his absence. He sees, but he does not observe. Not ready for prime crime. "It is most important habitually to pursue a definite train of thought, and to pursue it to a finish, instead of flitting indolently from one uncompleted topic to another, as the newspaper reader is so apt to do. 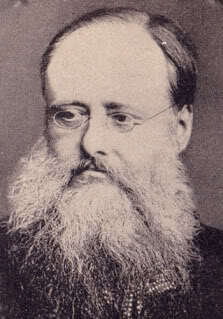 Still, there is no harm in a daily paper—so long as you don't read it." 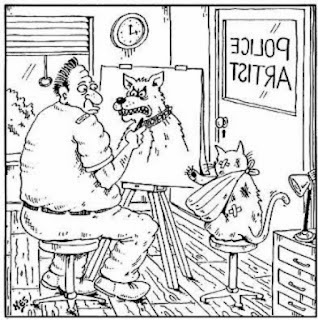 "Another art robbery. Mysterious affairs, these—as to motive, I mean. You can't melt down a picture or an ivory carving, and you can't put them on the market as they stand. The very qualities that give them their value make them totally unnegotiable." ". . . but we must leave some for the police. They must have the same chance as ourselves, you know." 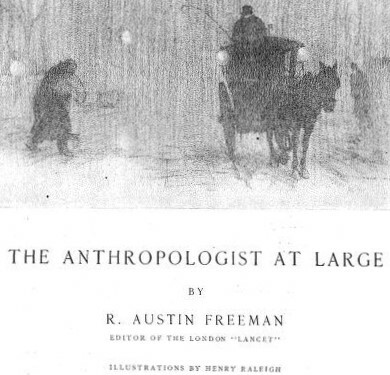 "Well, then, my inferences in this case were perfectly simple ones, drawn from well-known anthropological facts." 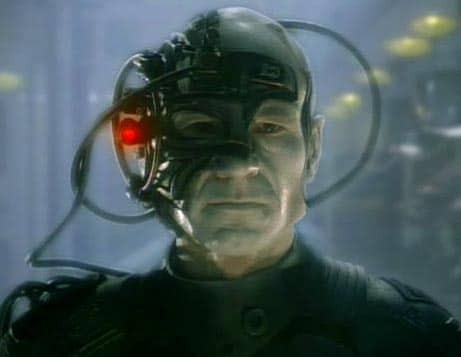 "My dear fellow, you have all the data. Enlighten yourself by the exercise of your own brilliant faculties. Don't give way to mental indolence." 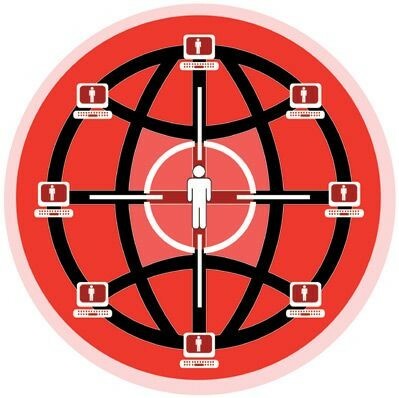 is the most extensive we've found so far on the Internet. 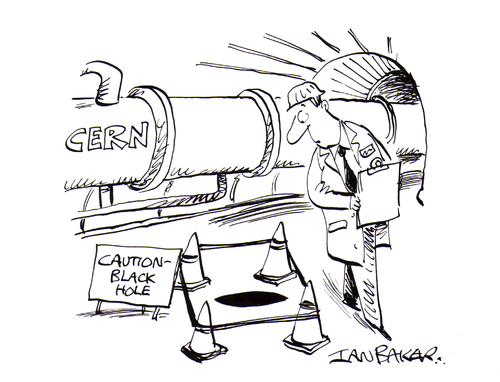 '"Got it last week,' said Mr. Löwe. "Mr. Marchmont chuckled audibly, and then, remembering the gravity of the occasion, suddenly became portentously solemn." - ONTOS has not ignored the good doctor; see (HERE), (HERE), and (HERE). "The Emphasis Is on Targeting Villains, Not Protecting the Innocent"
"A Bullet with Your Name on It." 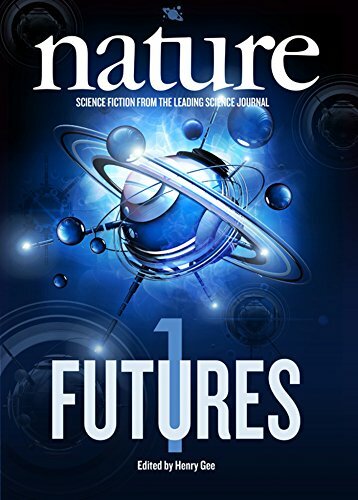 First appearance: Nature/Futures, 6 September 2007. "As you may have guessed, my name is now on a little list." 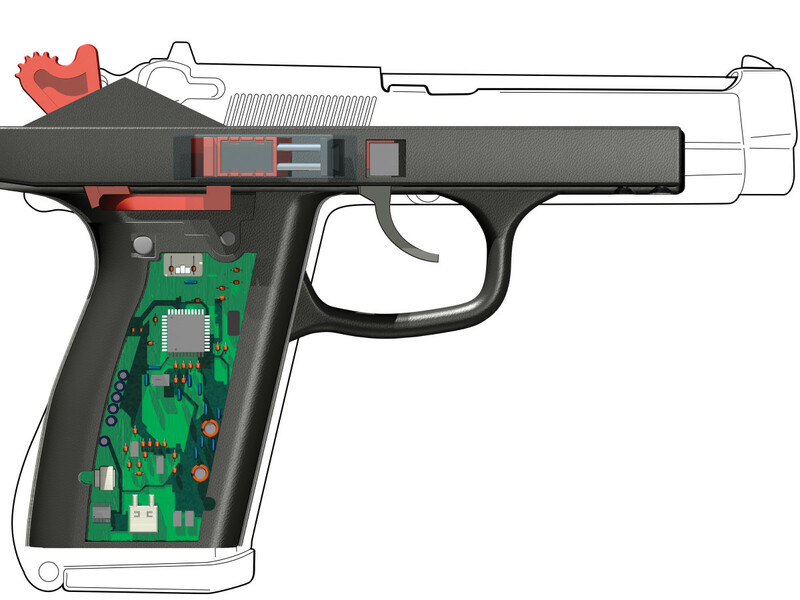 What happens when smart guns get smarter than people? - What little we know about our author is on the ISFDb (HERE). 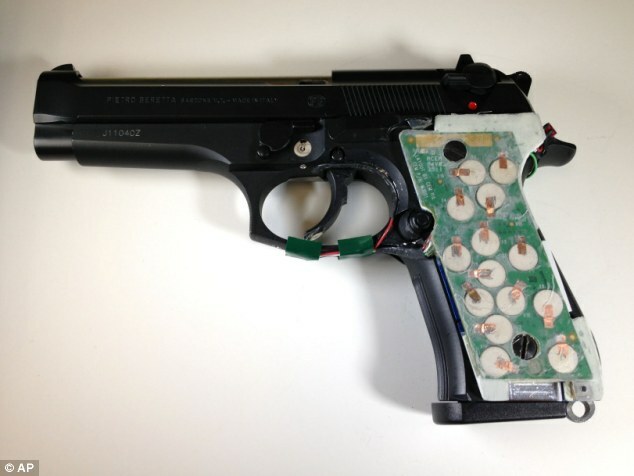 - At first glance smart guns (Wikipedia, HERE) seem like a good idea (see "Potential advan-tages"), but like all diligent science fiction writers David Hall has anticipated possible negative societal impacts (see "Potential disadvantages") of a new and untried technology. For more detailed information, see the National Institute of Justice Research Report: A Review of Gun Safety Technologies (2013, HERE; PDF; slow load). 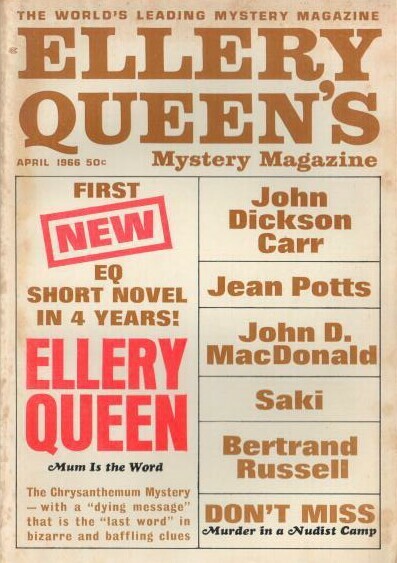 "Whenever Ellery Came to Wrightsville, Evil Came Out of Its Lair"
First appearance: Ellery Queen's Mystery Magazine, April 1966.
noted HERE) and Ellery Queen's Anthology #25 (1973). ". . . to add the ultimate grotesquerie, the case offered the 'last word' in bizarre and fantastic clues, the 'last word' in baffling and frustrating 'dying messages'." him that could fetch a princely sum, a diamond pendant appraised at a million dollars. the unplanned-for presence of an amateur detective genius from the Big Apple . . .
especially when it had a high market value." "And he also told us that he was the only one who knew the safe combination. He said he was going to make a note of the combination for us." 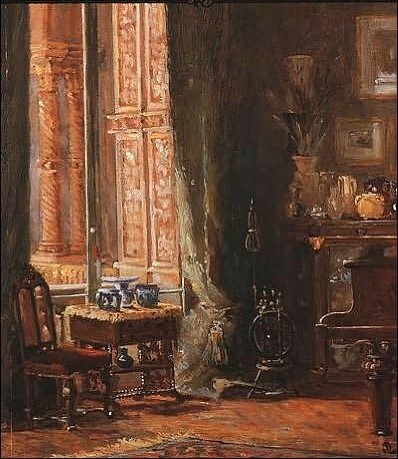 his desk. He was very sentimental about it . . . He used it as a letter opener." they strolled toward the pines and the pale sun." 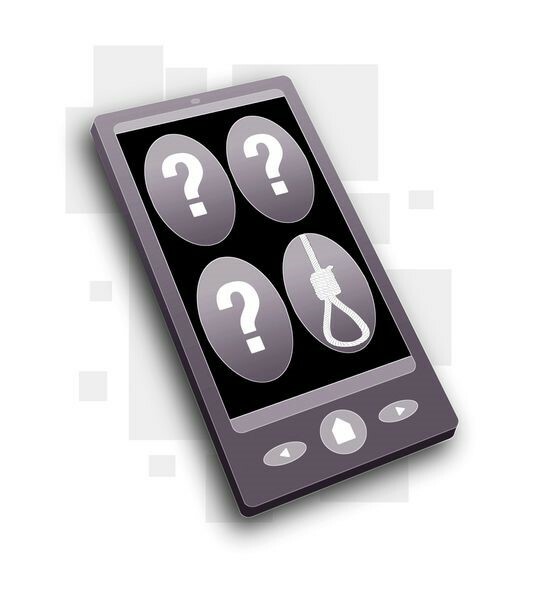 "Thorp hung up, stared for a moment at the telephone, then dialed Operator. 'Operator,' he said, swallowing. 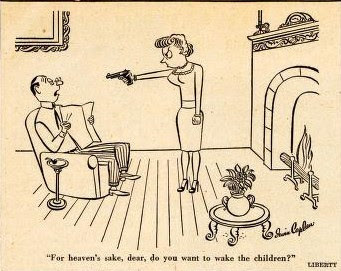 'Get me the police'." after the snow stopped, if that's what you're thinking of." "No embroidery, Ellery—it's open and shut." "Ellery in Blunderland. Through the Magnifying Glass . . ."
latest encounter with EQ, "The Hollow Dragon" (HERE). "Surely, the Court Cannot Permit Such a Miscarriage of Justice"
"The Trial of Jeremy Owens." By Peter Roberts (born 1952; ISFDb entry HERE). 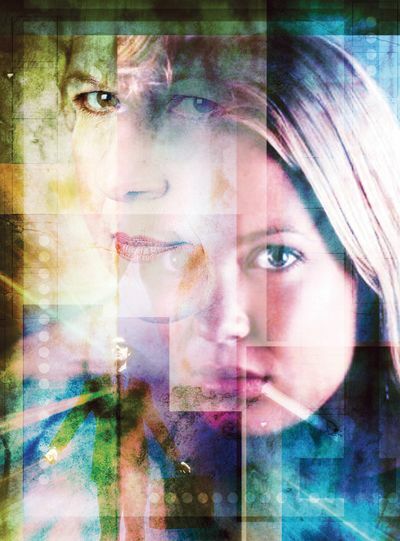 First appearance: Nature/Futures, 14 September 2006. "The biological Jeremy Owens sat alone at the plaintiff’s table. He had been rebuffed by every lawyer he had approached to assist him in this trial; some had laughed in his face. The ridicule only added to his determination to prove that he was the only real, true Jeremy Owens." How do you conclusively prove you're you when there are other you's running around claiming, truthfully, that they're you? - Fictional cyborgs (CYBerneticORGanismS) have been around a lot longer than real-life ones; see Wikipedia (HERE), (HERE), (HERE), (HERE), (HERE), (HERE), and (HERE) for examples from print and film, both predictably hostile and unexpectedly friendly. 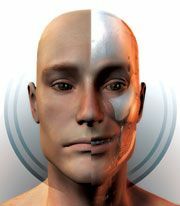 Cyborg development can be subsumed under cybernetics (HERE), a relatively new scientific field. 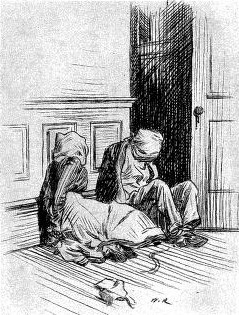 "Her Faded Blue Eyes Looked More Like the Men's Eyes Among the Ancestors on the Parlor Wall Than Those of the Frail, Pale Little Women"
First appearance: Collier's, October 29, 1954. "I aimed to find that $20,000 pin, and I didn't care how hard Claudie had to work." Clint and Claudie are having cash flow problems as usual and decide that the best way to earn a quick buck is to go into the detective business with Mr. Gissel; a nice income seems assured—until they meet Miss Ernestine . . .
"I looked Claudie right in the eye as I spoke, but he didn't look down the way he usually does. I saw something in his face I wasn't used to at all." "Don't you have some cases you could use a little help on? Some help from me and my associate, Claudie, I mean. Also, we'd prefer murder cases." he was not smoking since it had gone out." eyes and skin so thin I could see the blue veins in her temples and on her hands." 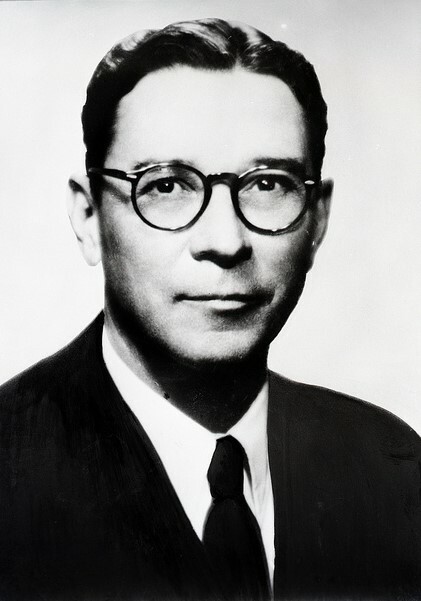 - The Wikipedia article about Dillon Anderson (HERE) mentions his time as one of many National Security Advisors to President Eisenhower but not his humorous fiction. and could frequently use a good lawyer or any lawyer at all." "ALAN 3 Is Willing to Break ALL THREE LAWS to Solve a Truly Reprehensible Crime"
By Greg Bear (born 1951). 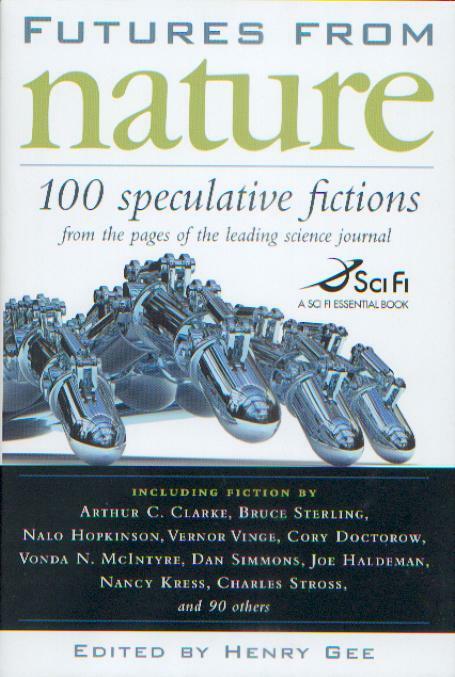 First appearance: Nature/Futures, 15 December 2005. 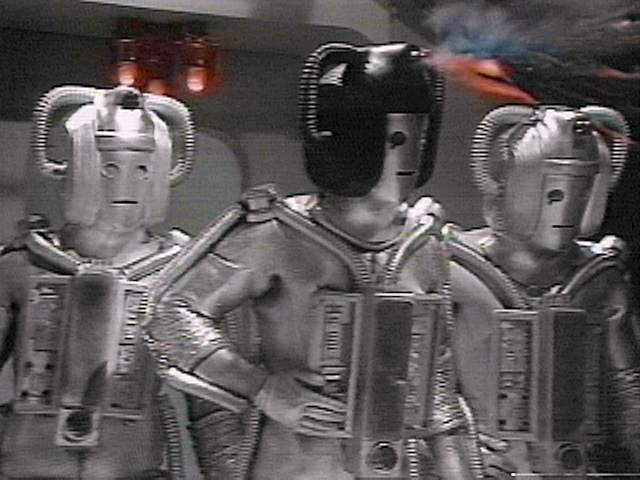 "RAM SHIFT PHASE 2 begins with the fatal breakdown of a shining, chromeplated Rorabot Model 34c nicknamed LULU 18 in a room with no windows and whose door is locked." desirable machine still well within its operational warranty" . 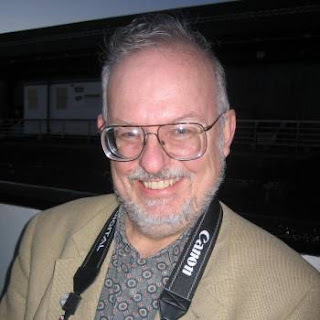 . .
- Gregory Dale Bear is an old pro in SFF circles who's been selling science fiction stories for more than fifty years; see all that Wikipedia (HERE), the SFE (HERE), his own website (HERE), and the ISFDb bibliography (HERE) have available. - For what is meant by "The Fourth Law, and beyond," see Wikipedia (HERE) and especially (HERE). 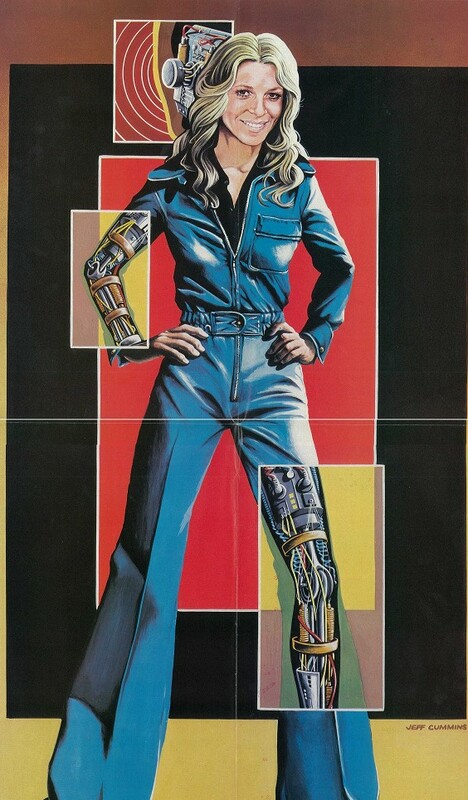 - Our latest run-in with robots, John D. MacDonald's "Nicky and the Tin Finger," is (HERE). classes Dickens. The story we have in mind in this regard is . . .
(a.k.a. 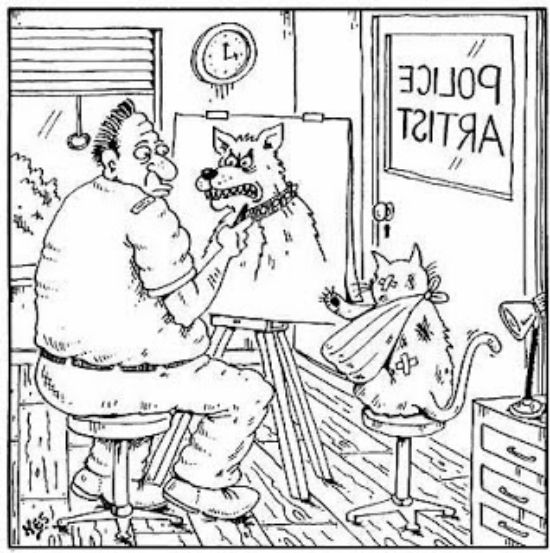 "Mr. Policeman and the Cook"). First appearance: Bolton Weekly Journal, 24 December 1880. 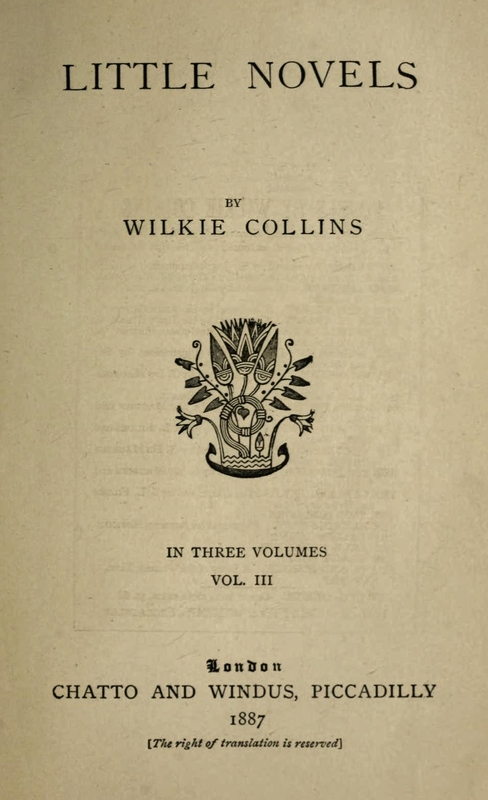 Reprinted in Little Novels (1887; online HERE). Short story (12-20 pages as a PDF). 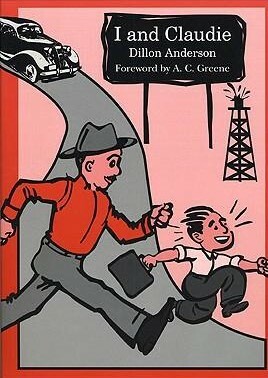 Online in many places, including Prof. David Stewart's Library (HERE; PDF) and SFFAudio (HERE; PDF). 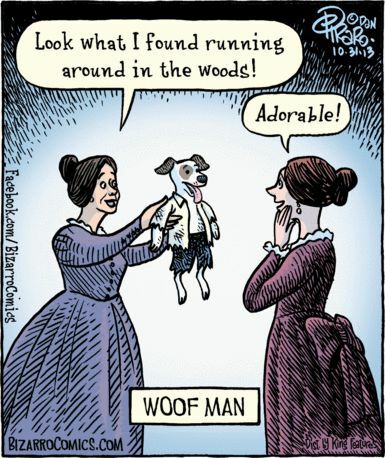 A tale of murder with a new twist—new, that is, for the 19th century . . . Comment: If you streamlined Collins's Victorian prose into 20th century colloquial English and removed his name, you just might think Cornell Woolrich wrote it. - We've already dealt with William Wilkie Collins several times, particulary with respect to his two classic novels, The Woman in White (1860) and The Moonstone (1868) (HERE), as well as: T. S. Eliot's take on The Moonstone (HERE); how Collins's crime fiction was a good fit for the Victorian frame of mind (HERE); and why, according to one author, The Moonstone is the only piece of detective fiction literature ever produced (HERE). 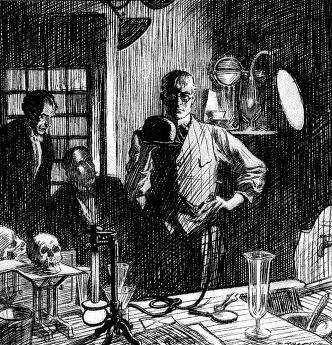 - Following in Poe's innovative literary footsteps, Collins added soon-to-be-commonplace elements to the detective story in The Moonstone—although there is some uncertainty about whether he was actually the first; see the Wikipedia subsection (HERE). 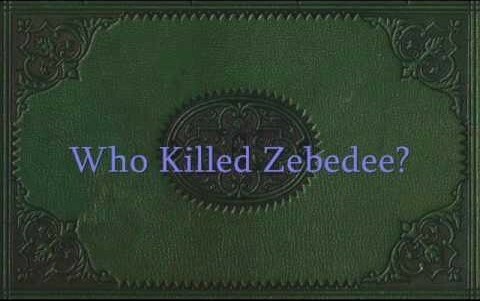 - Wikipedia has an uncharacteristically spoiler-free page about "Who Killed Zebedee?" (HERE); however, it's still better for you to read the story first. 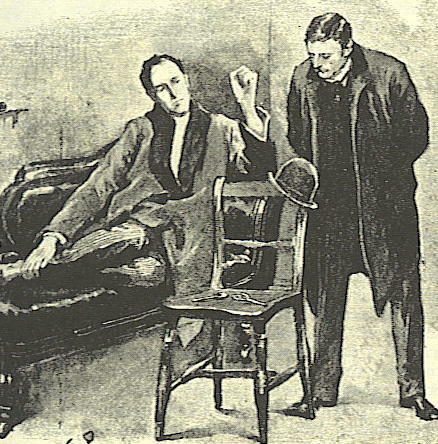 - For a scholar's understanding of this work, see Ellen Harrington's "Failed Detectives and Dangerous Females: Wilkie Collins, Arthur Conan Doyle, and the Detective Short Story" (2005) (HERE; especially pages 8—13), but, again, only after you've read the story. 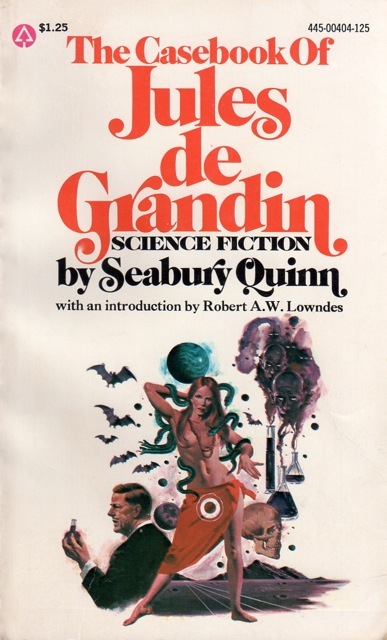 "Science Fiction Authors Can Follow the Rules Just As Easily As the Authors of Today's Whodunits"
By Robert W. Lowndes (1916-98). 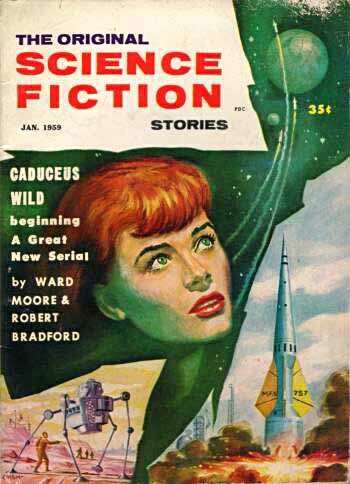 First appearance: Science Fiction Stories, January 1959. Online at Archive.org (HERE) and The Luminist Archives (HERE) (scroll down to page 102—note: a slow load is certain). 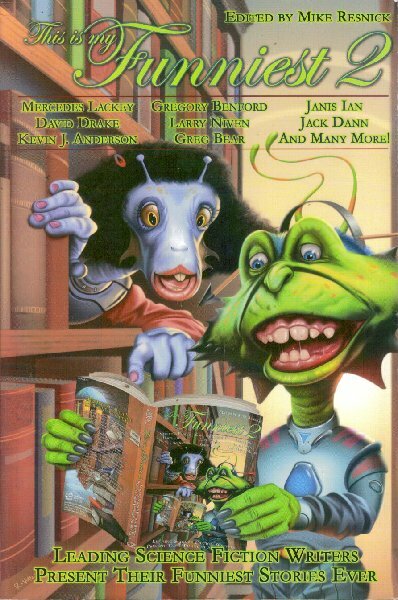 A really well-done old-fashioned murder mystery is quite rare these days, but even rarer is one with a science fiction/fantasy (SFF-nal) theme. Back in the '50s, uber-editor Robert Lowndes expressed hope that SFF authors would come up with more of them in the future, basing his conception of what a true-blue SFF-nal detective story should be on S. S. Van Dine's prescriptive rules dating from the '20s, most of which, in Lowndes's estimation, were still viable regarding what ought to and ought not to be used in a story. A worthy goal, certainly, but Lowndes evidently didn't get the memo from the hardboiled "realistic" crowd and their publisher cohorts that, as far as they were concerned, the traditional whodunit was, for all practical purposes, dead and buried . . .
"In following them [Van Dine's rules], the science fiction author can produce a story which, in so far as it is a puzzle for the reader to solve if he can, is as much of a sporting event as the offerings of Agatha Christie or Rex Stout . . ."
"A 'clue' does not have to be an object: It may be an event, a reaction on the part of some character, or a description of the scenery or setting which the detective has seen—but which he does not identify as a clue at the time." 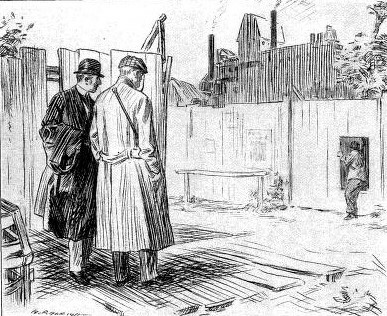 lative devices'—again, a sound prohibition for the ordinary detective tale. 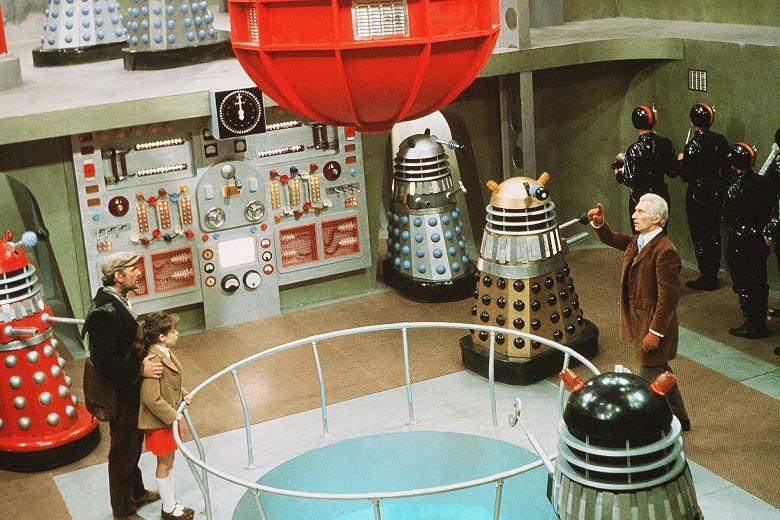 And it is this taboo which has made so many feel that we just can't have a 'fair' murder mystery in science fiction." the accumulation of shoddy imitations . . ."
"Back in the early '40s, I remember a bull-session that some of us had with John W. Campbell, where he stated definitively that there could never be any such thing as a science-fiction detective story in the traditional 'murder mystery' sense. 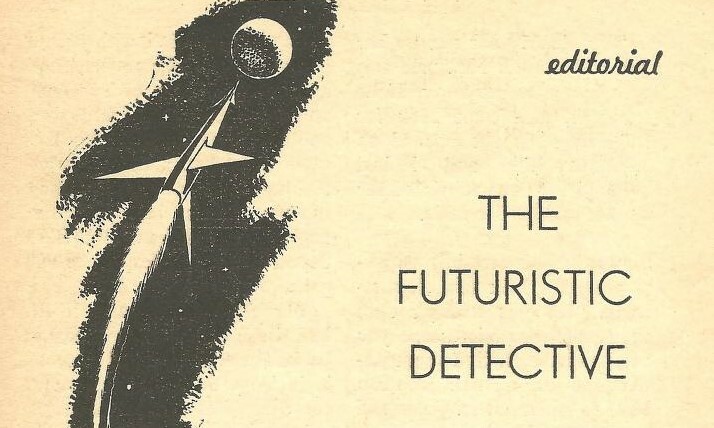 His reason for this proclamation was that since almost anything can happen in a science-fiction story – the villain can pull any sort of dingus or super-phenomenon out of his hat – the reader would never have a fair chance to solve the mystery. I didn’t quite believe it, yet I couldn’t think of any counter-argument to throw at John at the time. But, as Holmes would have said, it was all so absurdly simple! 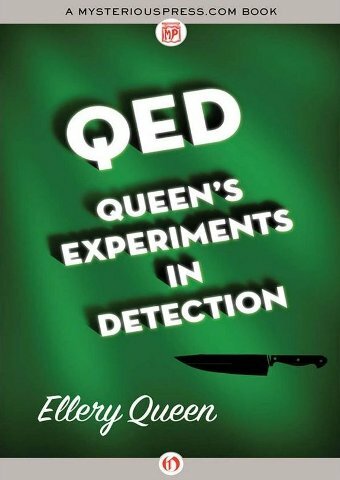 Of course there can be science-fiction murder mysteries, offering the reader as good a chance to solve the crime as he has in any ordinary murder-mystery where the author is playing fair. 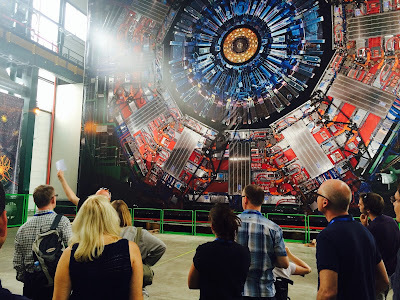 And you can have science-fiction wonders and dinguses and super-scientific phenomenon, too: you just make it clear that nothing essential to the solution of the crime is wrapped up in super-science, or intricate phenomenon and extrapolation that only a scientific wizard could be expected to unravel. The motives, methods, and clues must all lie within the range of what is clearly presented to the reader. I hope Puzzle Planet will convince you that the murder mystery does have a place in science fiction." - Lots of information about Lowndes is on the Interweb: Wikipedia (HERE), the SFE (HERE), Fancyclopedia (HERE), and the bibliography at the ISFDb (HERE). 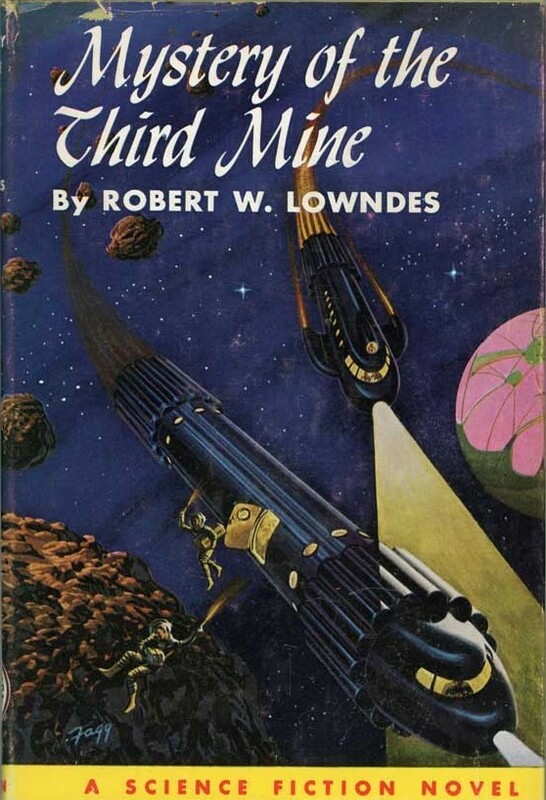 - Lowndes also wrote a "juvenile" space opera for Winston books, Mystery of the Third Mine (1953). 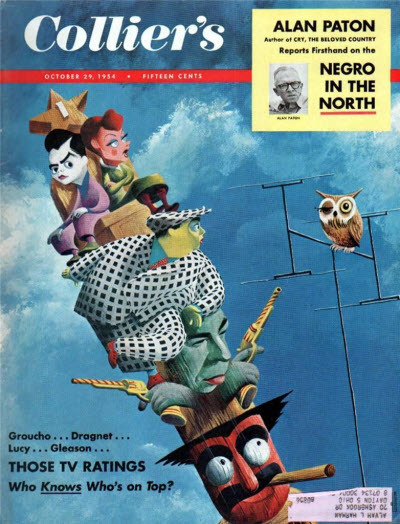 Mike Adamson's "Masques" (HERE), and David Berreby's "The Punishment Fits the Crime" (HERE). "He Looks More Like a Pickpocket Than a Burglar"
"Everything's Going to Be All Right"